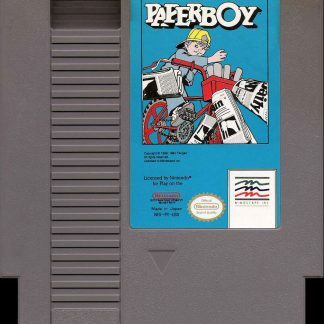 View cart “R.B.I. 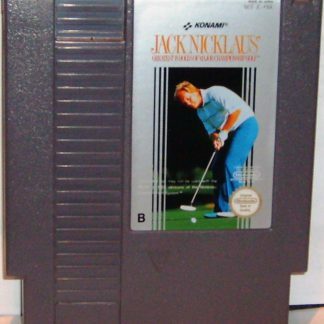 Baseball NES” has been added to your cart. 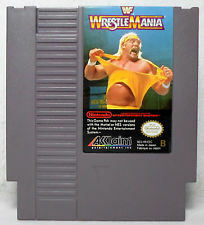 WWF Wrestlemania was released for the NES in 1989. 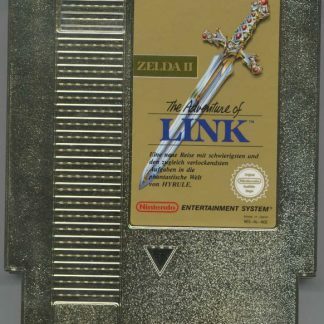 It was developed by Rare and published by Acclaim. The game became the first licensed WWF video game and was the second overall WWF game made. 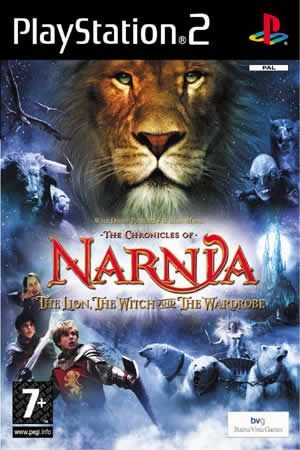 This title also started a ten year relationship between WWF and Acclaim. 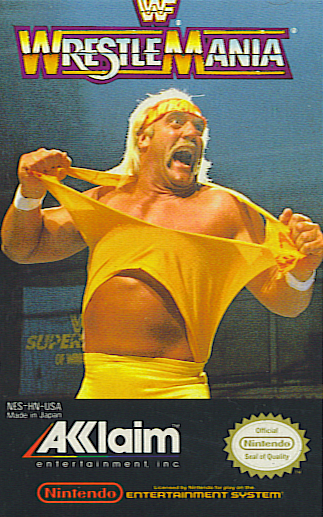 The release was just a few months before Wrestlemania V aired live. 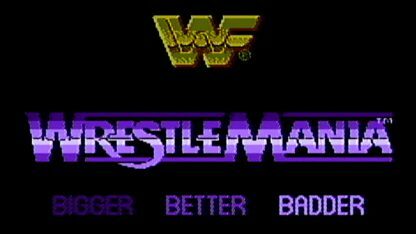 The game’s intention was helping to build the hype for the upcoming Wrestlemania. 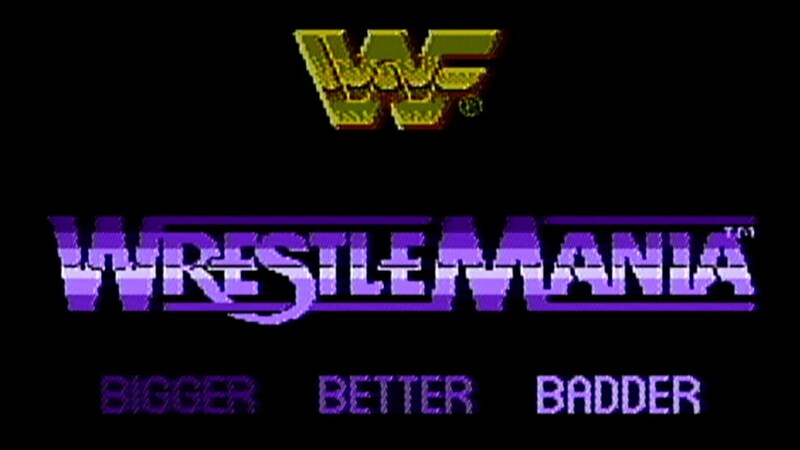 The title screen featured Wrestlemania III’s tagline Bigger, Better, Badder. 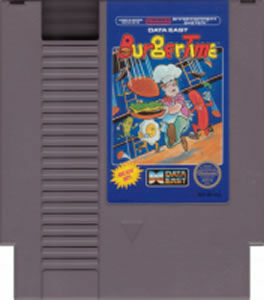 The game that followed up to this title was WWF Wrestlemania Challenge. 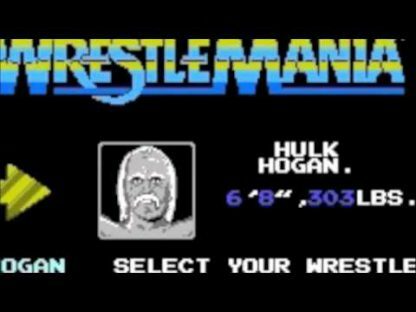 There will be six wrestlers the player can choose from. 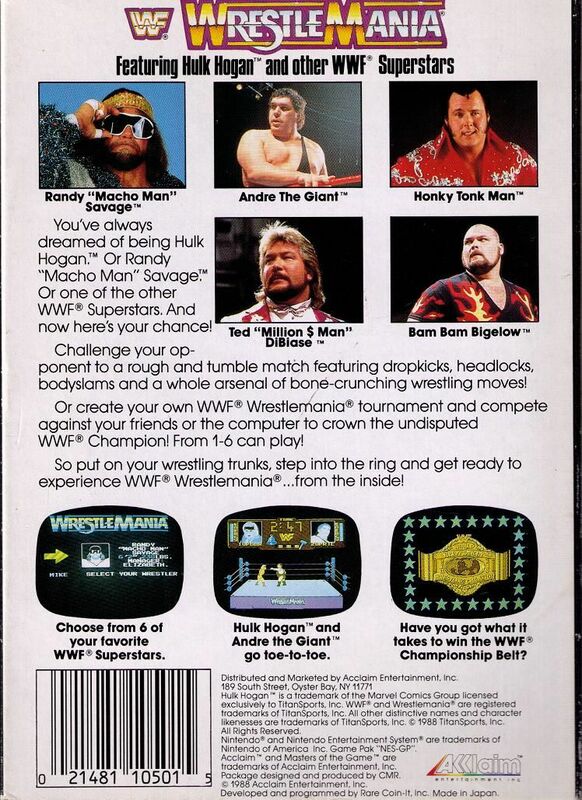 They are The Honky Tonk Man, Ted Dibiase, Randy Savage "Macho Man", Andre the Giant, Bam Bam Bigelow, and Hulk Hogan. Each wrestler will be limited on their moves. 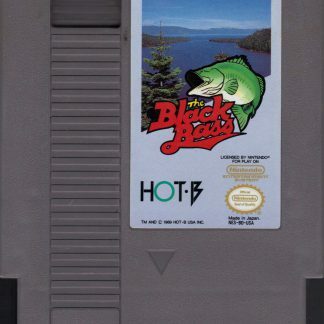 The moves will consist of normal standing kicks and punches, headbutts, one running attack, a bodyslam, and a top rope turnbuckle move. Andre and Bigelow are not able to perform a top rope maneuver while Honky Tonk and Bigelow are not able to perform a bodyslam. 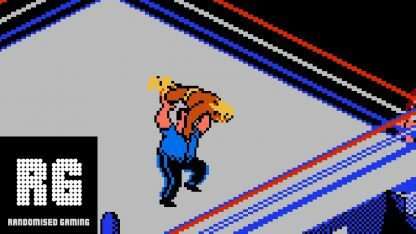 All of the wrestlers will be able to perform one back attack the player can use on while standing behind their opponent. This move is most of the time the backwards punch. Moves themselves will be somewhat tailored for every wrestler, like Randy Savage using elbow smashes in place of punches and Bigelow having two run attacks while others have one. Hulk Hogan is the only wrestler that is capable of body slamming the enormous Andre. Wrestlers are not able to exit the wrestling ring and are only able to perform turnbuckle attacks when they are at the two corners on the bottom. A wrestler will sometimes become red while taking hits, which will indicate anger. When a wrestler is angry, they are able to inflict greater damage than usual. 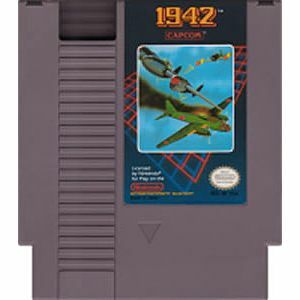 An icon, on occasions, will come onto the screen the player is able to pick up that will give them health. Each icon will be unique for every wrestler. For example, Honky Tonk’s will resemble a guitar and Hulk Hogan’s will resemble a crucifix. Also, the icons will not be interchangeable, so the wrestlers are only able to pick up the icons that are for them specifically. 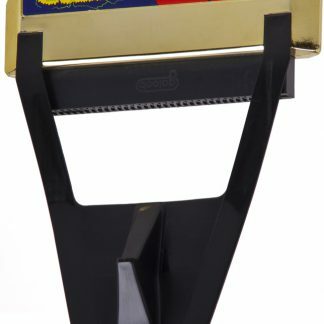 The types of matches available are exhibition singles, which can be played one player and a computer or have two players go toe-to-toe, and tournament. 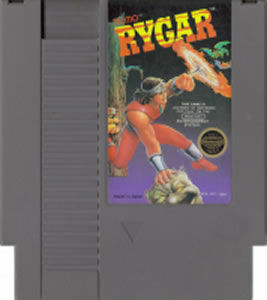 In the tournament for single player, the player will select a wrestler and will need to defeat the five remaining wrestlers in individual matches that will be a series. 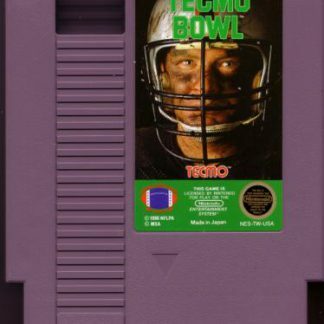 The tournament will be for the championship. A tournament can be played with multiple players, having up to six. Every wrestler will face each other once for a total of fifteen matches. When the tournament ends, the wrestler that has the best win record will win the championship. If there is a tie, the wrestler, who is involved in the tie, who had the fastest win during a single match will be the winner.